The end is finally here. The latest incarnation of the JLA decides to part ways after the events of Forever Evil. With so many event tie-ins these days, it’s hard to choose the right ones. Unfortunately, this issue is a tie-in that doesn’t matter. That’s not saying it’s bad, but let’s be honest here, we pretty much learned of the aftermath in Justice League #30. If you read Justice League United numbers 0 and 1, then you’ll pretty much catch on to what happened to the JLA, so the events in this issue aren’t very shocking. Here’s the rundown: Green Arrow is angry that the team was basically destroyed by the Crime Syndicate and since the villains are now considered media darlings, there isn’t much room for a second-tier Justice League. To make matters worse, Steve Trevor sort of gives up on everything after the events in Forever Evil: ARGUS and decides that it would be a PR disaster if they were to reform the Justice League of America. He tells Green Arrow that he won’t help. Green Arrow then spends the rest of the issue practically begging various heroes to join his team, but they either refuse him or just stop existing (I’m looking at you Vibe and Element Woman). The second half of the issue expands on the relationship between Stargirl and Martian Manhunter. We learn what really happened while they were trapped within Firestorm. They explain that in order to be a hero, one must do what is right. I really like the dynamic between Stargirl and Martian Manhunter. Their father/daughter type relationship has become very strong; they are always looking out for each other. They share a touching scene as they finally realize that if America doesn’t want them as a team, then it would be better to do their job in another country. The issue ends with Martian Manhunter and Stargirl flying to Canada, while getting Green Arrow to join their ranks. 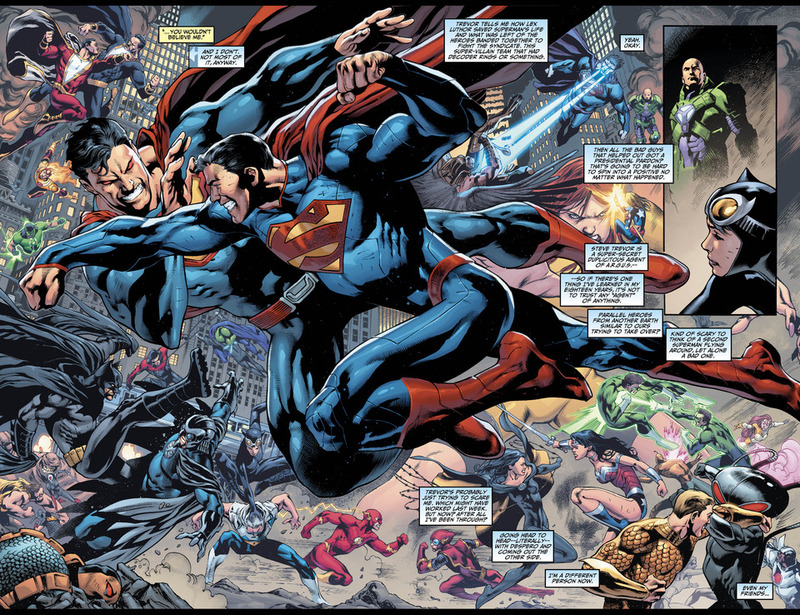 JLA #14 wasn’t bad; it just didn’t matter as much as the other tie-ins. This issue really didn’t explain much that wasn’t already said before. 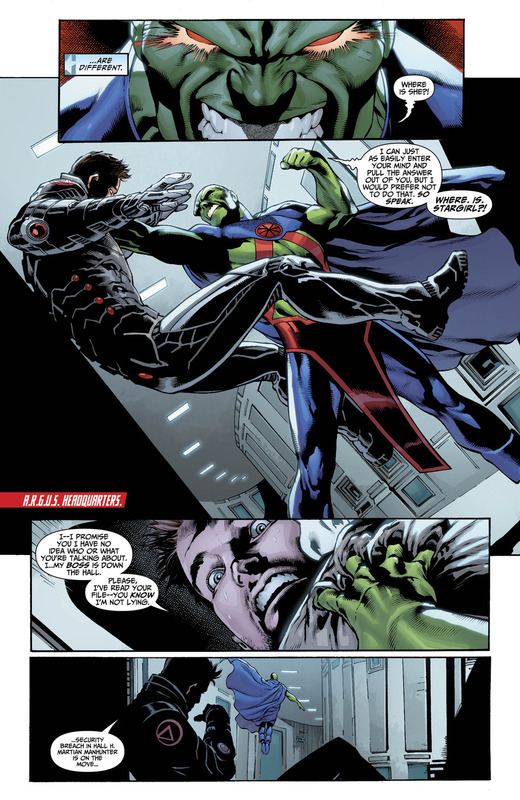 The majority of the issue features Green Arrow getting rejection after rejection from various heroes with some witty dialogue. As much as I enjoy Matt Kindt as a writer, it’s probably best that he’s going to a different company. It’s clear that DC is wearing him down; he isn’t giving us the quality that he wants to give due to the heavy hand of the DC editorial staff. 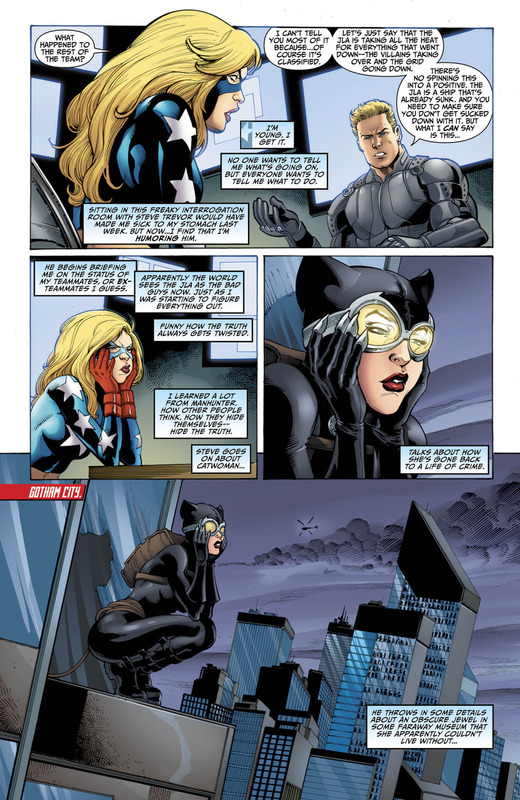 +It feels like a closing point for Stargirl’s fears and an opening for her relationship with Martian Manhunter. -Why read this when the next book is already out?